Mais c’est quoi ce truc ? A quoi ça sert d’avoir un full size compact et léger si on lui adjoint un tel monstre ? First thanks for another interesting and useful review. But there is one thing I strongly disagree with you : when you state that, regarding sharpness, the sigma performs quite similarly to the Tokina Firin 20mm F2 AF and the Zeiss Loxia 21mm F2.8. Although those two don’t get as open as F1.4, the corner sharpness at F1.4 on your pictures seems awfull to me (look at the ghosts on the typos of the book titles ! ), and that’s why I have opted for the Tokina Firin while considering it against the Sigma in the end. 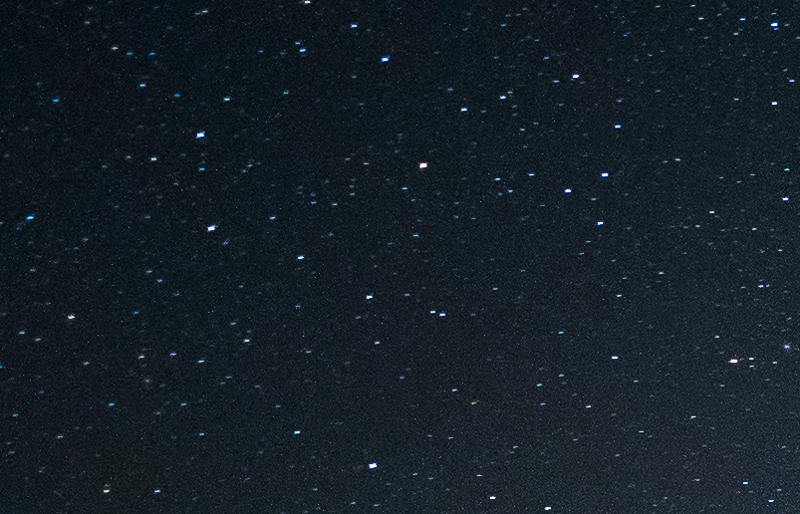 The best way to judge the corner quality of lens is to take a picture of a sky full of stars : it reveals very clearly coma, astigmatism and chromatic abberations. At that test, Sigma optics always fail. They may have stellar center sharpness, but the quality of their optical formulas in the corners is extremely bad. The cross shape of the stars reveals strong astigmatism. The dashed shape turned outwards reveals strong coma. 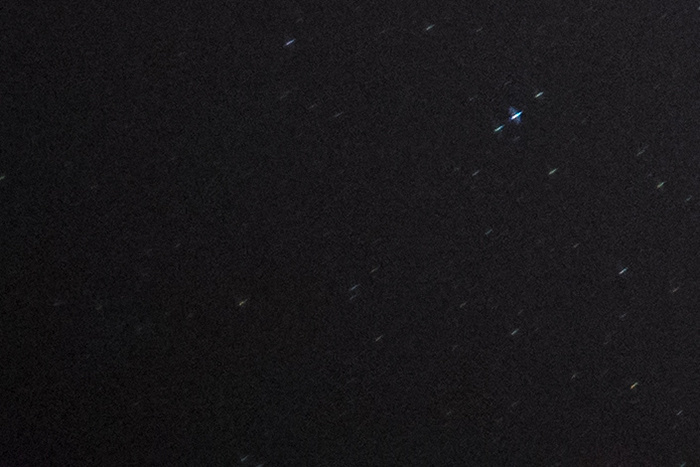 This lens shows extreme aberration in the corners, stars don’t even look like stars anymore ! Notice here that the dashed shape of the stars is not due to optical aberration (not turned outwards), but to the excessive duration of the shutter opening while the earth rotated which results in a small star trail. The Tokina Firin and the Zeiss Loxia do behave way much better regarding corner sharpness when wide open. And unfortunately taking a picture of books on the shelves is a weak test for detecting the optical aberations, though the ghosts apearing on the typos should alert there is a problem here.